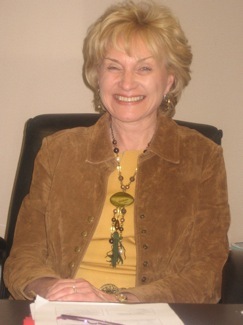 Dr. Cecelia McCarton is the founder and executive director of the McCarton Center for Developmental Pediatrics (1998), the McCarton School (2002) and the McCarton Foundation for Developmental Disabilities (2002). Prior to undertaking these projects, she served as director of the L.I.F.E. Program (Low Birth Weight Follow-Up and Evaluation) and clinical pediatric director of the Center for Communicative Disorders at the Rose F. Kennedy Center at the Albert Einstein College of Medicine. Dr. McCarton received her MD from Albert Einstein College of Medicine of Yeshiva University (AECOM) and completed her residency in pediatrics at Bronx Municipal Hospital Center. Dr. McCarton also received two post-doctoral fellowships from the department of psychiatry at AECOM and the Rose F. Kennedy Center for Research in Mental Retardation and Human Development. Dr. McCarton has taught pediatrics for more than 30 years and is a clinical professor of pediatrics at AECOM.